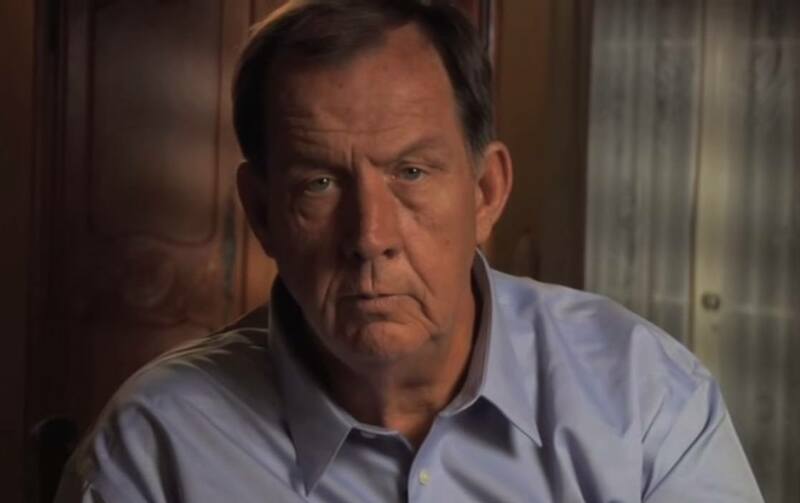 In 2009, Bill Bowen released a trailer for a documentary film he was producing exposing the corruption within Child Protection Services across the United States. The film is called Innocence Destroyed. On why he undertook the project to produce this film, Mr. Bowen said: "I decided to dedicate my life to the exposing of one of the worst criminal activities in the history of this country, in my opinion. This criminal organization specialized in destroying families and children and over a thousand children died due to neglect or are outright murdered every year in this country alone, while in the 'protection and control' of CPS. What is really needed here is an expanded public awareness of what CPS has degraded into and the sick criminals that run it. I have decided to produce books and films that will bring these horrific crimes and the criminals responsible for them, to light. That is what I do and I do it 7 days a week, about 12 hours per day." But Bill Bowen died unexpectedly the next year, in 2010, reportedly from a heart attack, before he was able to finish the film. The segments that were completed are now on YouTube, in three different videos. Nacy schaefer was president of this org before she was murdered. April 2017: Christie terminating parental rights and illegally abducting NJ children with only FBI stopping terror in New Jersey, Bergen County supports Libyan Terrorists, al-Qaeda and ISIS-Name the Names-State of New Jersey and Division of Child Services-Worst of the Worst-Child Kidnapping, Medical Kidnapping, Organized Crime Infrastructure, Terror - search RECENT TERROR - Sep 17-20 Multiple NJ/DYFS/World Terror/Killing as families and children left Vulnerable for first time (REF 11) also NJ State/DCPP Corruption/Child/Medical Kidnapping linkage to both recent US terror attacks - Federal Charges Work in Progress - Just How Bad Does a Corrupt NJ System Have to Get? - Jan 2015: Arkansas Senator: “No Horror Movie Ever Prepared You for This - Child Abuse Perpetrated by the State Must Stop"
Read on corrupt New Jersey Officials committing crimes against the people and children of New Jersey. Names under categories of corruption. Does anyone know how to get in touch with anyone who is interested in carrying on Bill's work? Please leave comment here. Are you? Please leave comment here. I'm working on it now and bringing federal charges and suit. I hope to put an end to this corruption once and for all. Isn't it obvious to ask how CPS can take away your children/babies? Who give them the rights? CPS is just scapegoat of medical malpractice, being set up by the state government to protect large hospitals. The true murderers are doctors, not CPS. I was just wondering what ended up happening with your grandson? Did you get him back yet? I agree they are monsters they get away with unhuman unheard of torture and caous! They are part of the most reason there is poverty! Im battling my own story and i have began to give up hope i think or thot god turned his back on my family! CPS took my 2 year old Grandson six weeks ago from his home aided by local law enforcement without a warrant . He has been placed two countys away with five other children he has been so sick since his change in his enviroment he has been to the doctor eight time plus two E.R. visits and Hospitalized once. He was peferectly healthy prior to his removal now he has daily meds they have put him on and requires daily breathing treatment due to ashma exerbation caused by his new allergys. Still his case worker after being advised to place him elsewher refuses to . I have his older brother placed with me and now have permanet custody through Dcf and the court. I requested a home study for placement with me and the caseworker will not acknowledge my request since i questioned her in front of the doctor over her misleading them on medaction dosage. I dont understand what her motive is for refusing to keep him in an eviroment that his health continues to decline in after the doctor advising her to remove him even stated that if he had a attack it could be fatal if he was alone in the night. Please someone out there help me get him in a safe place . He needs to be with family to care for him iam afraid hes going to die. He had bite marks and bruises on him since being there.and is so sad and scared. Please respond he is in danger as i type this. Cps has taken my child with the aid of sheriff's with out a court order, due process, or imminent danger ( which requires an immediate response). I have proof. He has been to the doc. 8 times, 2 E.R. visit's and 1 hospitalization in a 6 week period .The Lutheran services worker refuses to re move him from that environment and I am wondering if she is receiving a kick back of some sort.He's been assaulted by other children . He has upper and lower teethmark bruse's, scratches, welts, and other unexplained bruise's all over his tiny little 2 year old body. He has been placed on daily prescription medication's since he's been in this foster home as well. Prior to this situation he was in excellent health mentally and physically. The fact of the matter is this corrupt government has declared war on American's as individual's and taking our children as hostage's and adopting them out for the gain of profit. Everybody is getting paid for our babies judge's, police, Lutheran service's worker's. cps attorneys, and attorney's are all guilty of so many charge's on so many levels. 46 years later, I'll never forget the abuse in the CPS system! Oh! and they ensure no lawsuits, by making it impossible to get your case! I hate CPS and the State of TN with a passion! I was later deemed "hard to place" and was given to the first DYSFUNCTIONAL family that came along, and was one of the first females to be put on Ritalin. This government can't even fix the roads, but you all think they can fix children??!!! WAKE UP! I am afraid that this is like bucking a big corporate entity, one that has grown over the years, and they are able to make a lot of money off it. All in the name of protecting children, but not really. This makes my heart grieve for what all these innocent children have to endure; not to mention the heartache for their parents ~ having your children taken away unjustly is KIDNAPPING! These CPS workers, judges, and any other state or court personnel should be arrested for continuing to do this; breaking up families for their own financial gain! Is SO wrong! I hope that someone will finish the work that Bill was doing; and get this message everywhere; needs to be broadcast in EVERY STATE here in the US ~ and get this illegal kidnapping of innocent kids stopped for good! This is a mirror of how things are in Ireland and UK. This was a excellent work done by Bill to show the truth behind a sophisticated organization. If any one taking his work please let me know I would also like to share my story of dealing with CPS.